Receiving a diagnosis of a serious illness can be overwhelming. Most people aren’t sure what to do next and simply follow their doctor’s treatment recommendations. But if your condition isn’t an emergency, like a heart attack or stroke, you may want to take some time to get a second opinion on your diagnosis and treatment plan. A second opinion can confirm or change your diagnosis and make sure you’re aware of all appropriate treatment options. 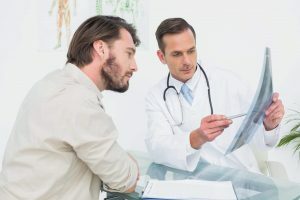 Once you’ve decided which treatment plan you’re going to pursue, the next step is to have a frank conversation with your doctor about the goals for your treatment. Before talking with your doctor, think about your priorities and what you hope to be able to do in the months and years ahead. You may want to include family or other loved ones in your decision-making process. If you’re not comfortable raising these issues with your doctor, it may help to bring a family member, friend, or other advocate with you to your appointment. When you’re ready to talk with your doctor, these questions can help you get the information you need and share your own values and goals, which can shape your treatment plan. What is the prognosis for my condition, both in the short-term and long-term? What is the likelihood that I will be cured? What is the likelihood that the disease will return after successful treatment? If the disease is treated successfully, what will my quality of life be like after treatment? What might my life look like 6 months, one year, and five years from now? What are the potential benefits, risks, and side effects of my treatment options? How will they affect my quality of life and ability to be at home (rather than in the hospital), take part in my regular activities, and work? What would happen if I chose not to undergo or to delay treatment? Or if I chose to undergo only some aspects of the recommended treatment, for example having radiation and surgery for cancer, but not having chemotherapy? Would this limit my treatment options in the future? What are the best outcomes you’ve seen from this treatment for a person with my condition who shares any other health issues I have? What are the least favorable outcomes you’ve seen and what factors contributed to those outcomes? What type of emotional and psychological impact has this condition and treatment had on other patients? What types of support are available to manage this? Is the recommended treatment covered by insurance? How much of the cost will I need to pay out of pocket? If it’s not covered, what is the cost? This can also be a time to think about the types of care you do and do not want to receive, such as being put on a ventilator if you cannot breathe on your own, undergoing CPR or defibrillation if your heart stops, or having a feeding tube. In addition to discussing your wishes with your loved ones and your doctor, you should also put them in writing in an advanced care plan or advanced directive.